You can have emergency exit lights installed so that lights will go on in the event of a power failure. It's not always easy to tell why the power went out. There may be a storm in the area or there might be a fire in the building. Either way, you need to ensure that there is sufficient lighting for people to see where they're going. Whether people can remain in the building or not, they need to have visibility. Consider what kinds of accidents people can get into if they can't see. Not only does it cause people to panic, but it could also result in people tripping and falling over various objects as well as other people. When you begin shopping for exit lights, it's important to work with lighting professionals. They can conduct an on-site survey to identify all of the exits, what is needed for code requirements as well as any other lighting that may be needed to help guide people towards the exits. There are a variety of energy saving lighting solutions that you can incorporate into your building, regardless of its size. By scheduling a life safety assessment and inspection, you can learn about the emergency lighting that you need as well as any other equipment that may be necessary to take care of fire codes. 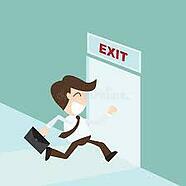 Emergency exits need to be compliant with all of the fire codes in your state. If you have existing fixtures, they should be tested and re-calibrated as needed. Additionally, if you don't have enough exit lights, you need to know where they need to go. This will make it easier for you to provide a well-lit environment for people when the power goes out. Since you cannot possibly know when emergency lighting will need to come on, you need to be prepared for every scenario. Whether you know that there is a problem with your existing exit lights or you are getting ready to install ones for the first time, the first thing you want to do is schedule an inspection. This will make it easier to understand what is going on within your building and identify your individual needs. It's critical to work with a company that provides emergency lighting inverters and central systems. Additionally, they should be able to remove old systems that are no longer working or are too much of a drain on energy. When the company is also able to provide you with lighting maintenance, you have everything you need by making a single phone call. At Lighting Services, Inc., we provide services across 11 states. We perform everything ourselves in order to ensure quality. Contact us today to learn more about emergency exit lighting options for your building.